Boaz Albert from Yitzhar will remain in jail after refusing to house arrest in a community other than Yitzhar. 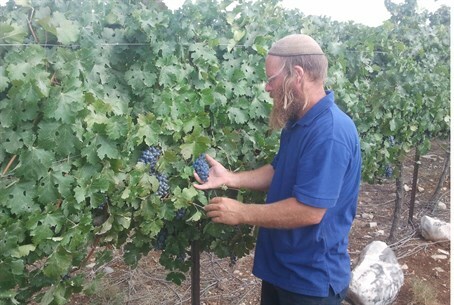 Boaz Albert, the resident of the Shomron (Samaria) community of Yitzhar who was arrested and jailed for violating an order distancing him from Judea and Samaria, will remain behind bars for now. The reason: Albert refused to agree to a Court order which stipulated that he can be released from jail to house arrest, provided the house arrest takes place in the community of Shaarei Tikvah rather than in his own home in Yitzhar. Albert informed the Magistrate's Court of his decision on Wednesday. As a result, his brother told Arutz Sheva, he will remain in jail until the expiration of the distancing order. Albert has been arrested multiple times for entering his home despite the distancing order. Defense officials refused to tell Albert why he had been distanced from his home, saying the information is classified. Albert’s first arrest made headlines after police officers repeatedly shocked him with a taser, even though he had not been resisting arrest. The police brutality brought to the forefront the discussion regarding the use of tasers by Israeli police officers, and ultimately led Police Commissioner Yohanan Danino to issue a temporary ban on taser use. Under laws dating back to the British Mandate, security forces are able to arrest people suspected of endangering Israel’s security, or to bar them from entering a certain area, without trial. Officials are not required to explain their reasons for issuing the order.